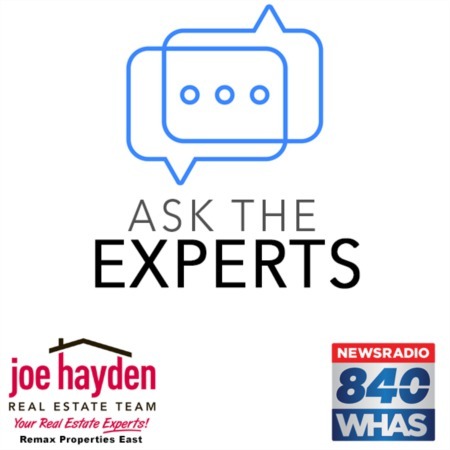 530 E Oak Street Louisville, Kentucky 40203 | Home for Sale | MLS #1362438 | Joe Hayden Real Estate Team - Your Real Estate Experts! Welcome to 530 E Oak Street, located right next to peaceful Shelby Park! 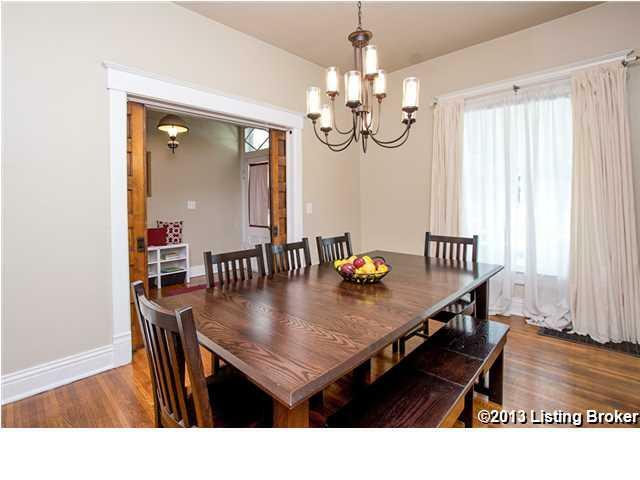 Updated and spacious, this home greets you with great landscaping and a well-shaded front porch. Upon entry, you can't help but notice the beautiful hardwood floors and tall ceilings that continue throughout the home. There is also a gorgeous staircase featuring elegant original banisters. Through the foyer's oak pocket doors, you enter into the large formal dining room that can comfortably seat 10, complete with a new glass tiered chandelier. Additionally, there are two closets off the dining room that have been converted into reading nooks and a fireplace that has been enclosed, but could easily be opened back up if you desire. The dining room is through another set of oak panel pocket doors, you enter into the comfortable family room, featuring an exquisite original fireplace. 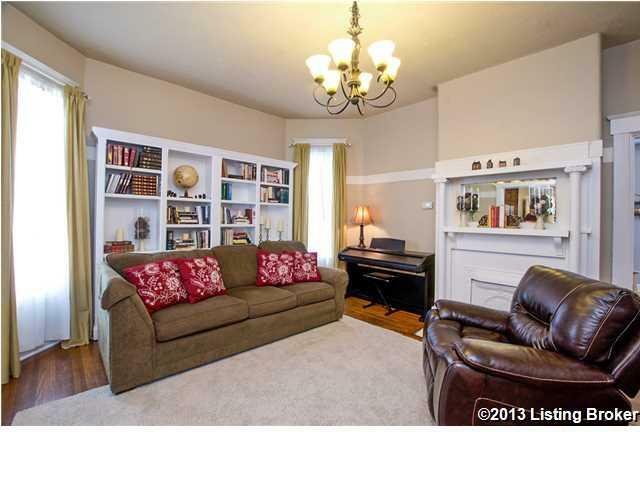 The family room flows into an over-sized kitchen with ample storage and newer cabinetry. The kitchen features a great butcher-block island, hanging pot rack, newer appliances and is filled with natural light, a large pantry, plus an attached half bathroom. Step out of the kitchen onto a relaxing deck that overlooks a nice backyard with a 2-car parking pad and delightful views of Shelby Park, including its original Carnegie Library. 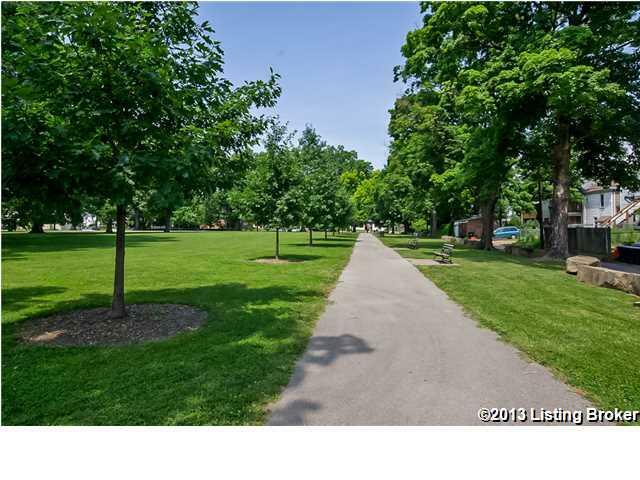 Shelby Park is a 100 year old Olmsted Park that features a walking path, a picnic shelter, baseball field, basketball courts and new spray pools! Upstairs you will find 3 large bedrooms, a laundry room, a totally updated full bathroom and plenty of additional storage space. There is also a bonus room that has been converted into the perfect office. 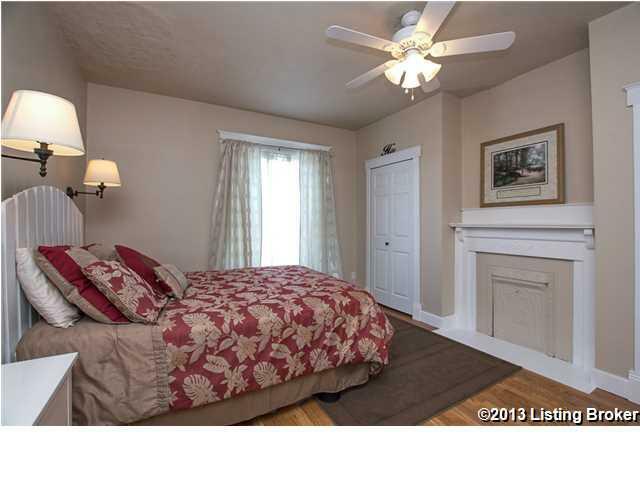 The master bedroom has two large closets and another striking, original fireplace. The basement features additional storage space and a great carpenter's working area. 530 E Oak Street is truly a special home and a great addition to the neighborhood's continual revitalization. Call today for your private tour!